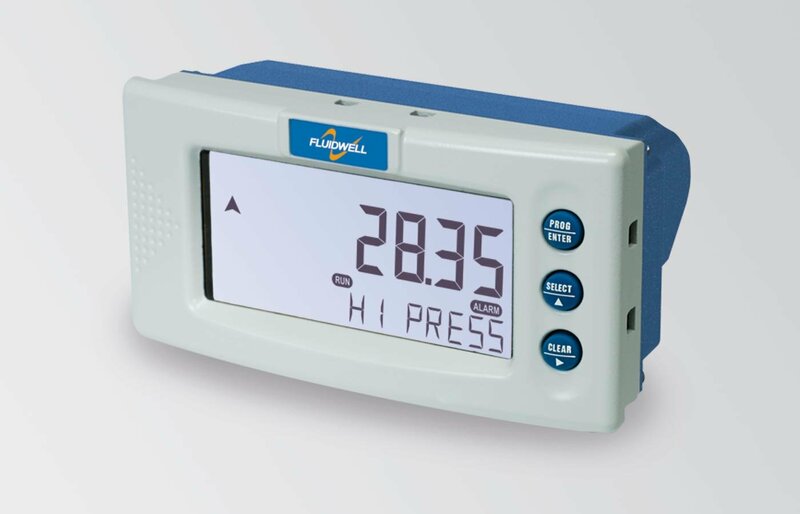 The D053 is a versatile, panel mount pressure indicator with continuous pressure monitoring feature. It offers the facility to set one low pressure and one high pressure alarm value. If desired, an ignore function can be set up to allow for an incorrect pressure for a certain period of time. 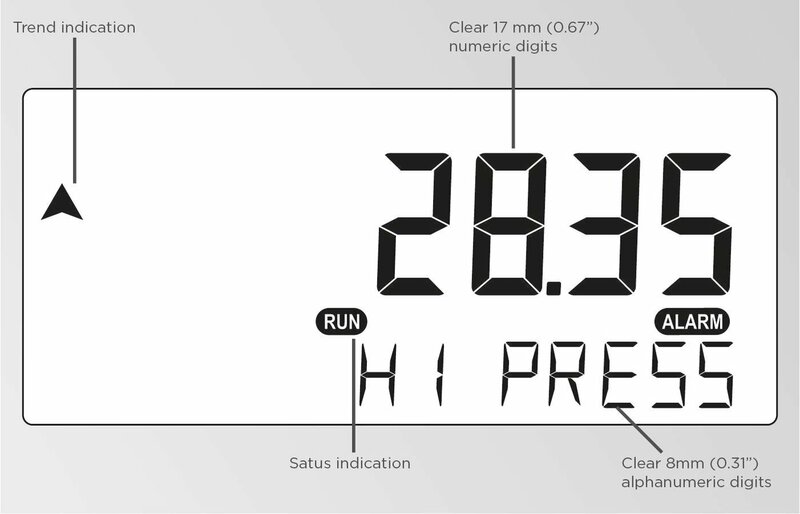 Displays actual pressure and alarm values. Two alarm values can be entered: low and high pressure alarm. Pressure: six large 17mm (0.67) digits. Red flashing LED backlight in case of a pressure alarm. The D053 fits in applications where continous pressure measurement and monitoring is important.